Kevin Smith returns to Marvel Knights and to the character that first brought him to Marvel! 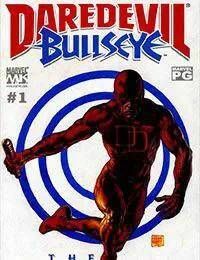 Theres unfinished business in Daredevils life: a psychopath called Bullseye who killed a woman that Matt Murdock loved and now its payback time! Its the greatest grudge-match of the year, and it features artwork (and painted covers) by PREACHERs Glenn Fabry!